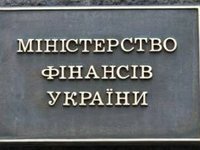 Ukraine's Finance Ministry welcomes the successful negotiations on debt re-profiling between state-owned Ukreximbank and the holders of about 30% of all three issues of the bank's loan participation notes (LPN) maturing in 2015, 2016, and 2018, worth about $1.5 billion. "This will result in total savings to Ukraine's balance of payments of up to $1.5 billion for the 2015-2018 period," the Finance Ministry said. According to the ministry, the results of the negotiations are fully in line with the objectives of the IMF supported program and demonstrate Ukraine's commitment to finding collaborative and acceptable outcomes in good faith within the framework of its current debt restructuring negotiations. "We call on Ukreximbank creditors to support the proposed terms during the forthcoming consent solicitation process that will start early June," the ministry said. "The re-profiling of the Ukreximbank bonds will contribute to the first target of the IMF supported program. As agreed with the IMF, the government has engaged in negotiations with international commercial creditors as part of its debt operation to achieve three following goals. The first one is to generate $15.3 billion savings in public sector financing during the four-year IMF program; the second is to bring the public and publicly guaranteed debt/GDP ratio under 71% of GDP by 2020; and the third is to keep the budget's gross financing needs at an average of 10% of GDP in 2019-2025; maximum of 12% of GDP in any given year," the ministry said. "We look forward to continuing negotiations with the debt holders of other instruments included in the perimeter of Ukraine's debt operation. The Ministry of Finance underlines that the sovereign debt restructuring will also need to reduce debt levels and debt service to meet the three IMF-agreed targets," the ministry said. The ministry said it aims to complete the debt restructuring operation by the first review of the IMF-supported program scheduled for June in order to provide support for the disbursement of the second tranche.